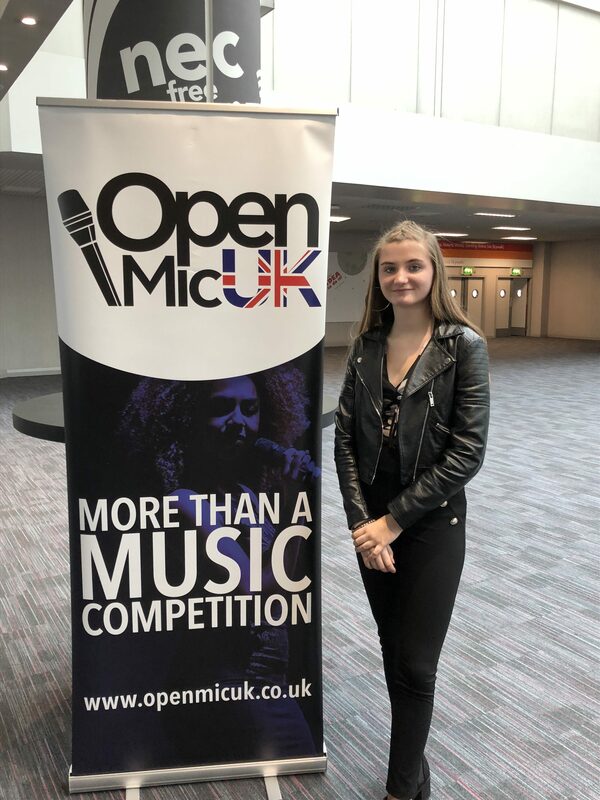 We are thrilled to learn that Abi Pearce has been auditioning for the Open Mic UK Competition. Abi achieved a place at the Regional Finals and performed at the NEC last October. With a successful performance she is now through to the semi-finals and will be performing in Leeds on November 25th. The finals will be held at the O2. Abi has made a tremendous achievement already and we wish Abi every success in her performance on the 25th! Open Mic UK is a fantastic opportunity to show off your talent to music industry professionals, develop as an act, and gain valuable media attention and exposure. If you make it through the music competition auditions to the live shows, you’ll perform to large audiences and music industry judges at some of the country’s top music competition venues, with past Grand Finals being held at The NEC in Birmingham and within The O2 in London! Thanks to its nationwide status as a leading music competition, Open Mic UK gives acts from all over the country the chance to compete, receive music industry feedback and grow to be the UK’s best on the mic.